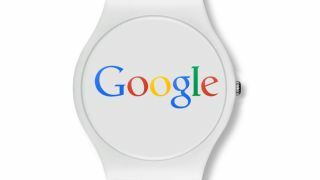 Could this mean the Google watch is coming??? In what will be CEO Larry Page's last regular earnings call, Google laid out just how it performed in Q3 2013 and dropped a few hints about what we can look forward to from Mountain View. Without reading too much into it, Page referenced a type of wearable tech many expect his company to jump into with the still-unconfirmed Google watch. "People increasingly have more than one device," he said in a spiel about our multi-screen world. "Screens are proliferating in the home as well as wearable screens like watches and Google Glass." That was that on the watch front, but this is the first time we've heard Page reference smartwatches during a recent earnings call, if any call. With rumors pointing to the debut of the Google watch, codenamed Google Gem, happening on October 31, Page's words may be weightier than an up-on-the-times reference. "We are closing in on our goal of a simple, beautiful and intuitive experience regardless of devices," he said. He's also very excited about Chromecast and Chromebooks, by the way. As for the figures, Google raked in a higher than expected $14.9 billion (about £9.22b, $15.4b) in revenue but was still knocked by the financial hemorrhage that is Motorola. Revenue for the division went from $1.78 billion (about £1.1b, AU1.8b) in Q3 2012 to $1.18 billion (about £730m, AU$1.2b) this quarter. Motorola snagged an operating loss of $248 million (about £153m, AU$257m), more than the $192 million (about £118m, AU$199m) losses recorded in the same quarter last year. Finally, for all you YouTubers, mobile now accounts for 40% of the video service's traffic. Last year, mobile accounted for 25%. Yahoo held a newsroom-style earnings report early this week and tried its darndest to cover up its bad news.